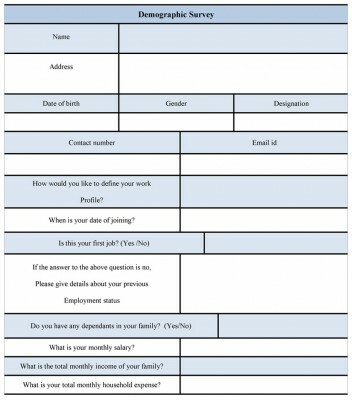 A demographic survey form is used where a target group of people or target customer needs to questioned in order to satisfy their requirements. This kind of form usually deals with the interest of a particular group, which is defined by the age, profession, passion, thinking factor, gender and so on. The form is very useful when the subject related to the network, product, services, entertainment and other thing. The purpose of such kind of survey is to improve the services of a certain group. 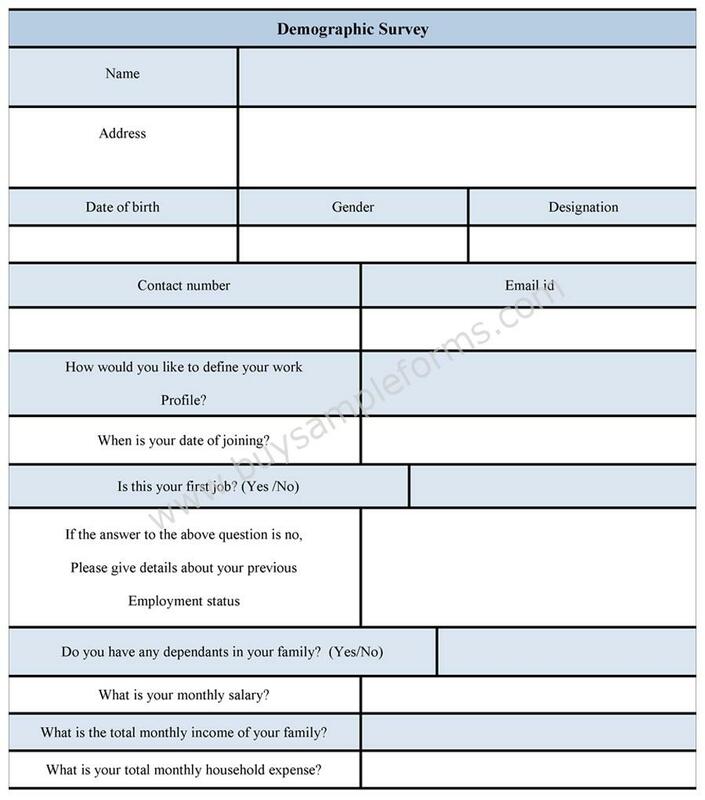 The form contains information regarding the demographic data that includes name, date of birth, gender and designation of an individual who fills up the form. The questionnaire is designed according to the purpose of the survey and the person needs to fill up the form with adequate information. Student survey form is very common in use to identify certain issues regarding the education. The form is widely used for the business purpose. 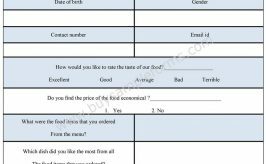 Such questionnaire templates are available in both Editable PDF and word format. You can customize the document and print it as per your needs.